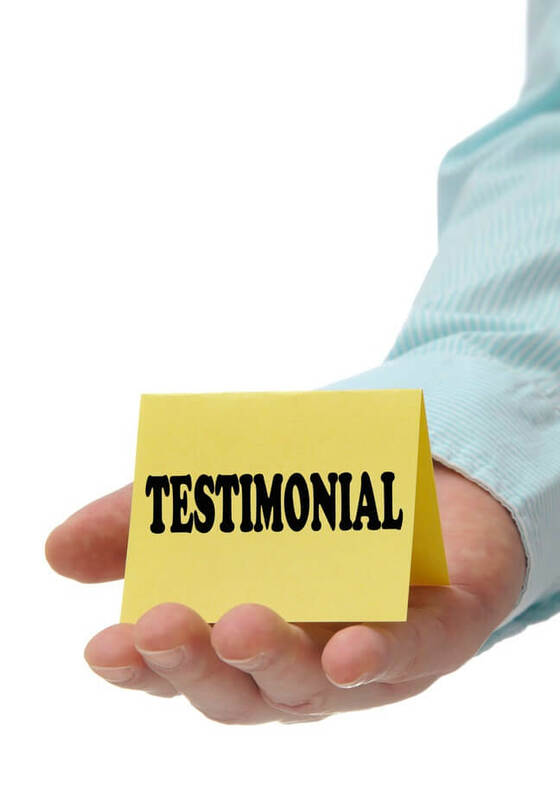 In our last post, we discussed how important testimonials are as a marketing tool for your real estate business. As an agent, testimonials help paint a picture of just what it is like to work with you and how future clients will benefit from your services. Video testimonials are a fresh way to bring new life to your client’s stories. Hearing and seeing someone as they go through their experience with you provides a multi-dimensional experience for your audience with facial expressions, tone and behavioral cues that words alone cannot convey. We’re not going to lie: Video testimonials are not as easy as written testimonials to put together. The more sophisticated your video, the more complex the software you need to use. Keep that in mind as we lay out the tips below to help you put yours together successfully. Listing out these questions for your client when asking for a testimonial makes it super easy for a client to answer your call to action. It helps them to clearly remember each important element to mention of their story in working with you. So be sure to include them in any ask for a testimonial. Collecting testimonials is easy but also a timely activity. You want to give your clients time to enjoy their home or breathe from the transaction (especially if they are moving and settling in). A good time to ask for a testimonial is a couple weeks after you’ve give your thank you and closing gift. If you don’t receive a testimonial, feel free to ask again a month later after you’ve asked how the client is faring. At first a simple ask if they would provide the testimonial in the card or email is perfect. Offer to send them questions to help facilitate their answer. Another month later, send them the questions. You can send a blanket request to all clients by including an ask on your website, as a social media post and in your next newsletter. Asking for a video testimonial is a little different as you will need to have people sign a photo/video release form. You can find generic ones anywhere online by doing a quick search. A video testimonial, as we mentioned, takes a little more work to put together. For the sake of helping those with the most basic tools, we are going to assume you have at least a smart phone to record it. Who: The name (can be first names and last initial or just first names) of your client lends credibility. A photo of your clients is even better to bring their testimonial to life. What: Did you help list or find a home? What was the particular situation of the client? Where: What neighborhood or area of town were you able to find a home or list a client’s home? When: Mentioning the particular season/time of year that you helped someone or a particular time in the local market (was is a seller’s market? buyer’s market? particularly difficult economic time?) gives your story some context relative to just how much you helped your client. Why: Why did the client enlist your help? What did they find particularly compelling in choosing you as their agent? Were they referred to you by another client? Did they love your particular brand or niche? How: Finally, what exactly did you do to help your client achieve success? We recommend that with each question and even within each question, you provide enough space between answers in case you are able to edit the pieces later. Encourage your clients to keep their answers short but with enough of a story to make it interesting. If possible, you can even pause in between questions, ask them the question allow them to think about their answer then hit record again to resume. Once you have finished recording your testimonials, you are ready to post them! Include them on your website where appropriate, in your next eblast and on your social media feeds. Keep in mind the length allowed for videos on certain platforms. For example, if you are going to post to Instagram, be sure it is a minute or under. You can simply take a longer video and pick out only the best highlights then direct your audience to your website to see more.